Growing up, there were few things more exciting during summer than hearing that little ditty playing that meant only one thing … the Ice Cream Man is coming! Soon he’d be rounding the corner of our street, and so my little brother and I would make a mad dash inside the house to plead for some cash – and quick – so we could make it back outside in time to get our hot little hands on a cool, refreshing ice cream treat. Fast forward to today … not much has changed. Precious little faces still light up each time they hear the familiar tune that promises sweet treats in colorful wrappers. Sadly, we now that know these nostalgic treats are chock-full of unhealthy preservatives and harmful additives. 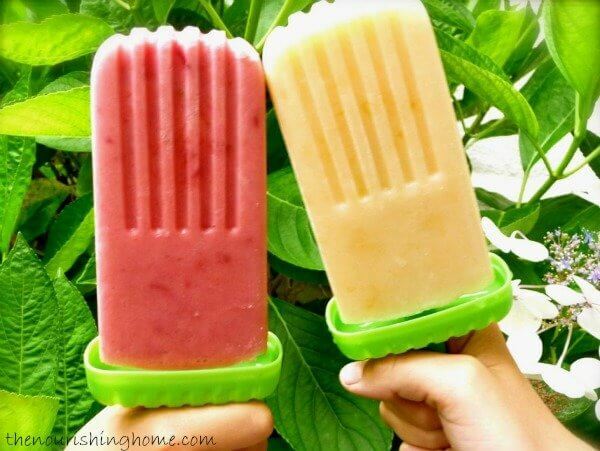 Seriously, making homemade frozen treats with your kiddos is not only easy and fun, it’s delicious and nutritious, too! 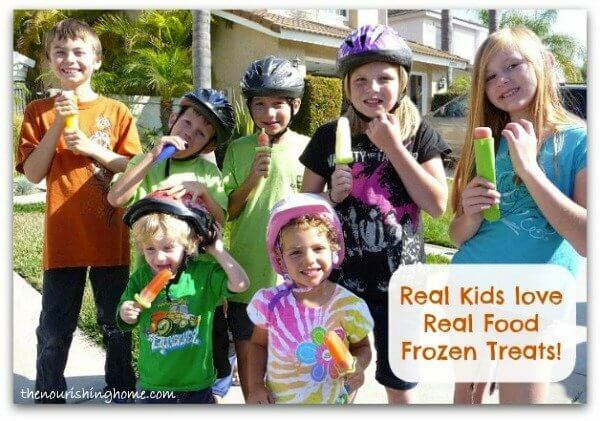 Trust me, real kids love real food frozen treats! In fact, by stocking your freezer with these fabulous frozen treats, you could very well become the most popular mom on the block this summer! 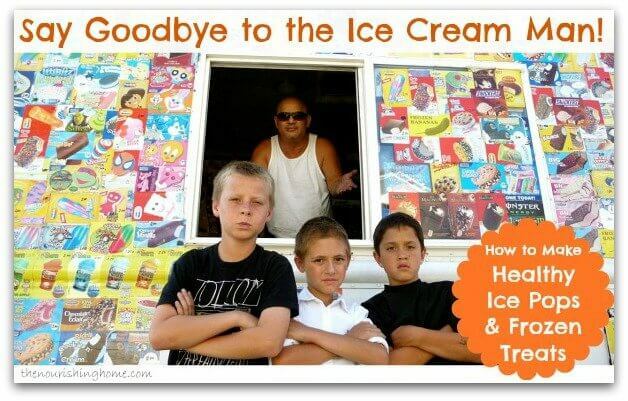 Then, each time that ice cream man comes by with his tantalizing tune a-playing, you’ll be delighted to see your children running inside – not to ask for money – but to instead ask for one of YOUR healthy homemade treats! On a mission to help you become The Ultimate Ice Cream Mom, we’ve provided 15 all-time favorite frozen treats that are certain to bring a smile to your kiddos’ faces, while keeping the ice cream man at bay! With these recipes in hand, you’ll learn how to make healthy ice pops in no time! I also encourage you to pop over and check out my Top 10 Tips for Making Healthy Homemade Frozen Treats and FREE Healthy Ice Pops & Frozen Treats eBook. 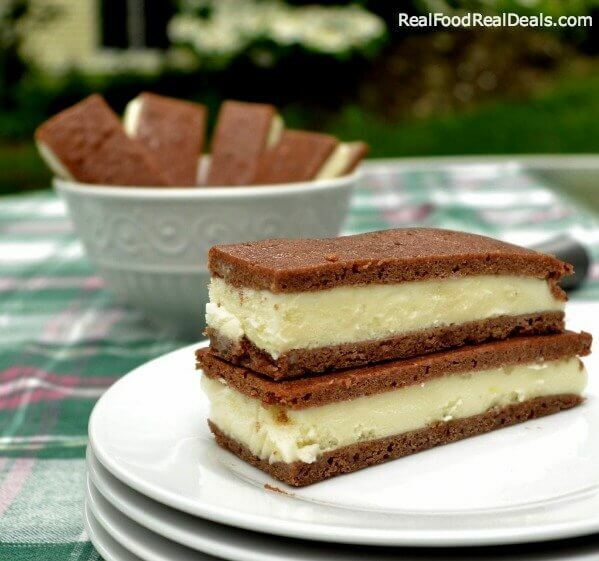 What are your family’s favorite healthy, homemade frozen treats? This post is sponsored by Plan To Eat. Plan To Eat was born from our desire to eat real food — great food — prepared at home, together as a family. Plan to Eat is an online menu planner that uses your recipes, scheduled for the days you want them, automatically generating your grocery list, organized the way you like to shop. Eat well. Eat together. Just bought some molds this afternoon! Looking forward to trying out some of your recipes. What a wonderfully positive way to break that habit of such good memories about something so yucky for you… Thanks!! Yum! Will have to look at some of these recipes! I didn’t get the ebook not sure what I did wrong. I tried to re subscribe it wouldn’t let me. please help me get the ebook!! !